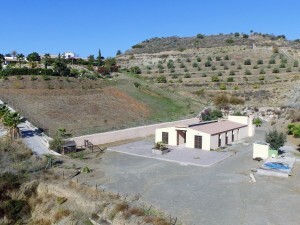 Lovely 3/ 4 bedroom Villa located less tan 5 minutes drive to Albox, in Almeria province. The villa itself is over 180m2 build including the 2 extra sun lounges and enclosed terrace, also it has a large room currently used as an office which is off the 3rd bedroom but could easily be used as a 4th bedroom. As you enter the house through the front sun lounge you come into the main Lounge which has an AC unit and wood burner fire. From the lounge you have a hallway which leads off to the good sized bedrooms and 2 bathrooms, one of the bathrooms is an en-suite to the master bedroom. The kitchen is a good size and is fully fitted with white goods etc, it also has a small utility area which then leads to the separate dinning room and this also has another utility / storgae room off it. From the dinning room there is a hallway that leads to the 2nd Sun Lounge at the rear of the property and this then leads on to an enclosed terrace with a hot tub , also form the terrace you can enter the pool and a large terraced area surrounding the pool which is approx 6x3. From the pool area you have views over the almond trees to the surrounding hillside. To the left of the Villa there is also 2 brick workshops plus a wooden shed so there is plenty of storage room. The house has a tarmac road to it for all of the the way except the last 200mtrs which is a well developed gravle road. The are houses around the property so you are not isolated in anyway, although very private, and close to Albox, where you can find all the necessary amenities for your daily living. 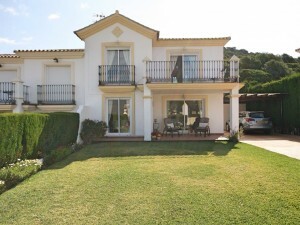 Contact us now to arrange a visit to this charming villa!